We met Chloe + Derek last summer when Chloe contacted us for engagement photos at the Valley of Fire. You can check out their cute Cars movie themed engagement session HERE. At the time, they still didn’t have a wedding date or venue picked out, but when they did, Chloe contacted me again and asked us to photograph their big day. We were so excited to get to hang out with them again and be there to document their wedding day this time! They chose to have an intimate ceremony with their closest friends and family at the Juno Gardens in Caesars Palace. For those of you considering a wedding ceremony at Caesars, keep in mind that you can opt out of their in-house photographer for an additional fee and have your own photographers capture your wedding ceremony! This is a great option because not only do all your photos have the same style and look throughout your entire day, you also get to have your own photographers whom you already know and have a personal relationship with! There’s also no pushy sales pitch from us afterwards to get you to purchase additional prints or digital images. We always include your fully edited high resolution images for you! Ok, enough of our PSA and let’s get back to Chloe + Derek’s wedding day!! We met up with the couple in their hotel rooms for some getting ready shots and to get to know the rest of the wedding party! Chloe and the girls were getting hair and makeup done by Beauty Studio Inc. in their gorgeous suite at the Nobu Hotel inside Caesars Palace. 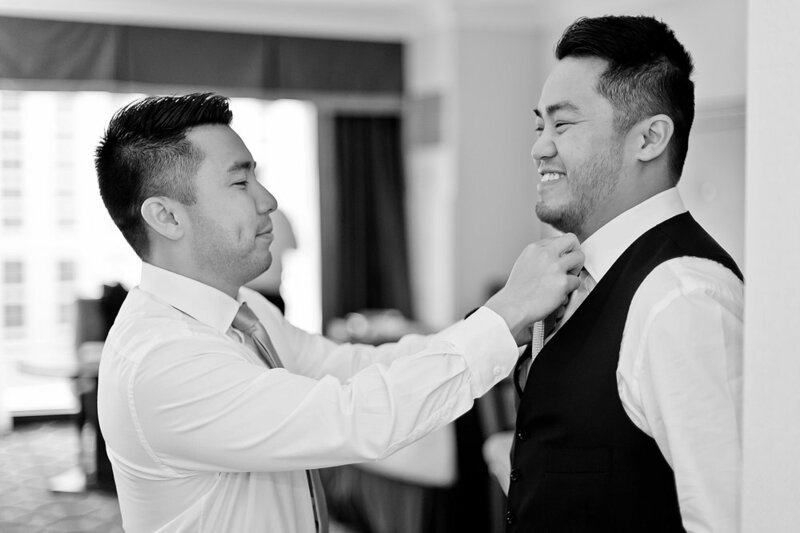 Once everyone was ready, Chloe + Derek had their first look before the ceremony. After the ceremony and family group shots, we headed out for some photos of the wedding party and bride and groom! It was a great ending to a great day! Jenny and Justin decided they wanted to skip the big wedding and just run off to Vegas together and elope! 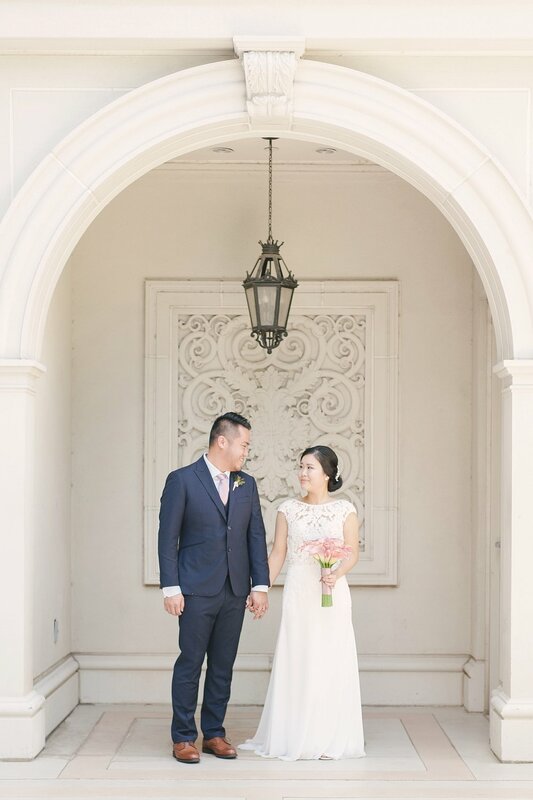 They came from Northern California and kept their vows intimate and private, but wanted some fun photos to share with their friends and family back home and contacted me about doing their wedding portraits! Jenny mentioned she loves the movie Ocean's Eleven (I knew we'd get along just fine after that!!) and wanted to do photos on the strip and if possible, with the Bellagio fountains in the background. Since they had their wedding dinner at the Eiffel Tower Restaurant at Paris Las Vegas, I figured that would be the best place to meet up and start our session there. It was such a treat to meet Jenny and Justin. I loved how they added their own personal style and flair to their day. Jenny had her hair and makeup done by Beauty Studio Inc and they did a great job keeping Jenny's look natural, like she wanted. The colorful floral crown and bouquet by A Garden Floral really added a fun element and gave them a fun and whimsical look. After some photos there, we took a little walk around the block and ended our session with the Bellagio fountain show in the background. It was the perfect finish for them and I'm so happy we got to get those photos for Jenny! Some couples want a traditional big wedding surrounded by all their friends and family. They want to show off their love and personalities from the invitations to the florals! They want to party and celebrate and stick to traditions. Some couples want an intimate ceremony, without all the hoopla. They want it to be about their personal commitment to each other. They want to savor the moment all to themselves and throw traditions out the window. Whether you are traditional, untraditional, or fall somewhere in between, know that your wedding day will be perfect for you and who you are and what your love stands for. 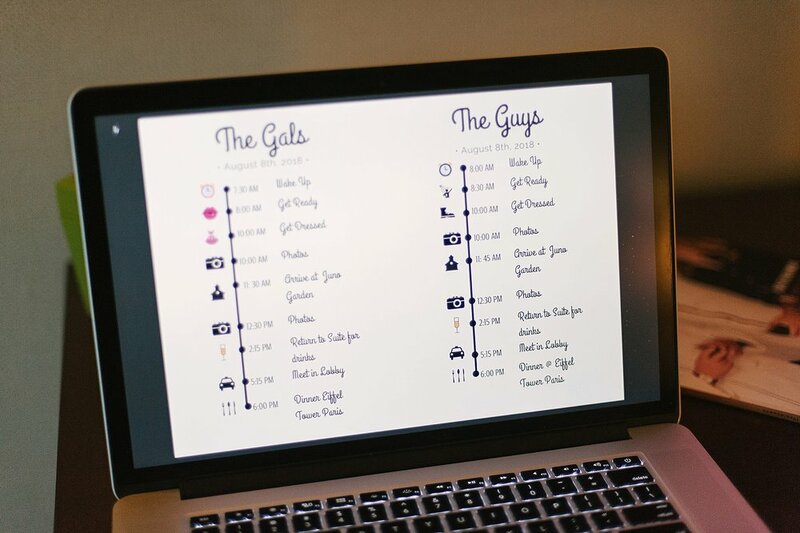 Your wedding day should be exactly how you want it to be, regardless of the size of your guest list. The one thing you can't do without, though, is amazing photographs! 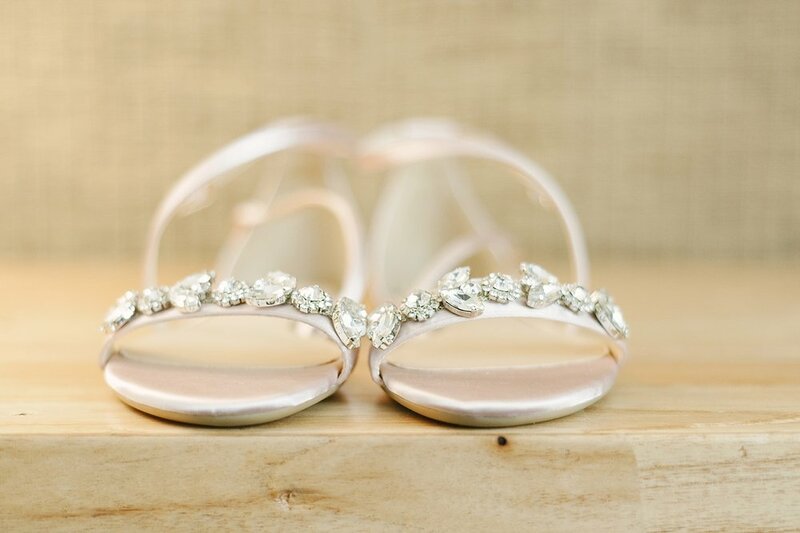 Your wedding photos will be your heirlooms. They will be what is left when the day is done. Your photographs will stand the test of time and will be a reminder of how in love you were then and always will be. 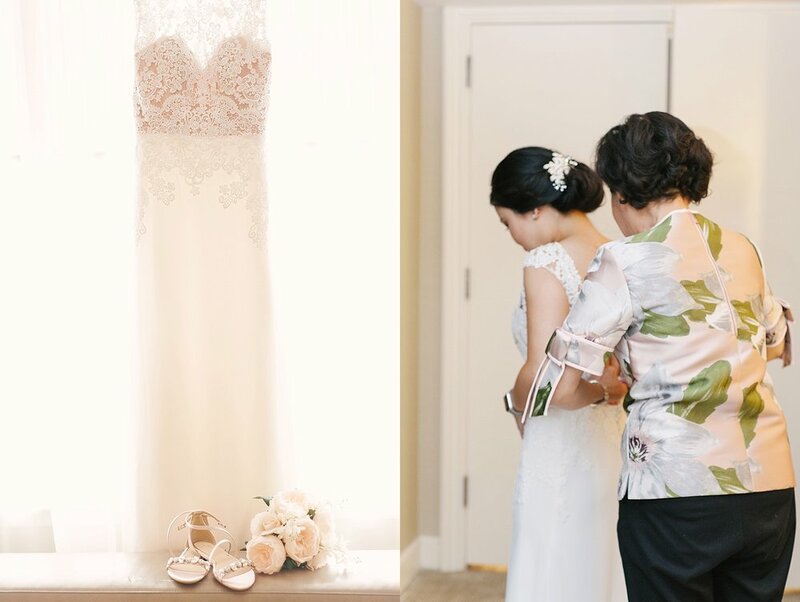 Jessica + Wes chose to skip the traditions and decided that coming to Vegas with just her mom + brother were all they needed. Jessica's brother officiated the ceremony privately and then knowing that they wanted some awesome photos to remember their day, they booked a photo shoot at The Neon Museum where they met up with us! We had such a fun time with them and it was so beautiful to see how in love they are! After our time at The Neon Museum, we took a quick drive over to Downtown's Fremont St. to get some more fun wedding photos around town with them! So, although they kept their celebration private, they now have some beautiful photos to share with all their loved ones back home. And, more importantly, they'll have these images to look back on at every anniversary to remind them of their amazing day and fall in love a little bit more each time!